Will My Personal Injury Lawsuit Be Dismissed? There are many risks associated with filing a personal injury lawsuit. One major risk is that the defendant files a motion to dismiss your case and the judge decides that your claim is not viable. A motion to dismiss is a formal request asking the court to throw out a case. If the judge agrees with the defendant that the plaintiff’s claim is not viable then he or she can sign an order ending the lawsuit. An experienced attorney will examine the facts of your case and ensure that your claim is viable before filing suit in the first place. 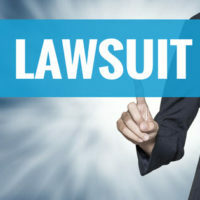 Why Might My Lawsuit Be Dismissed? The court lacks jurisdiction (the legal authority) to hear the case. There are two types of jurisdiction, subject matter jurisdiction and personal jurisdiction. Subject matter jurisdiction refers to the types of cases a court can consider. For example, cases involving federal law must typically be tried in federal court. Personal jurisdiction refers to the parties involved in the case. Courts typically can’t try cases where the parties have no connection to the area. The plaintiff sued the wrong party. It’s not always easy to tell in personal injury cases who the responsible party is. For example, should you sue the restaurant employee who spilled the water that you slipped and fell on, the restaurant owner, or both? An experienced personal injury attorney can help you answer this important question. The venue is improper. Venue refers to the county or district in which the lawsuit is tried. Sometimes, even if a court has jurisdiction over both the parties and the subject matter, it is not the right place to try the lawsuit. Maybe the court is too inconvenient for the parties or key witnesses, or maybe there has been so much pre-trial publicity that trying the case there would be prejudicial to one or both parties. A motion to dismiss is not the only way to end a lawsuit. A party may also file a motion for summary judgment, which basically says that the facts are undisputed and the judge should decide the case in that party’s favor. Note that either the defendant or plaintiff can file a summary judgment motion. You still have options if your personal injury case is dismissed or if you lose on a motion for summary judgment. What those options are depend on the facts of your case. Make sure you consult with an experienced personal injury attorney. Contact a West Palm Beach personal injury attorney at The Pendas Law Firm today for a free consultation if you were injured by another person’s negligent actions. Our experienced attorneys will help you navigate the litigation process and help recover the compensation that you deserve. The Pendas Law Firm also represents clients in the Fort Myers, Miami, Orlando, Jacksonville, Fort Lauderdale, Tampa, Daytona Beach and Bradenton areas.